The Set Of Batteries Have A Current Rating Of 2800mAh. 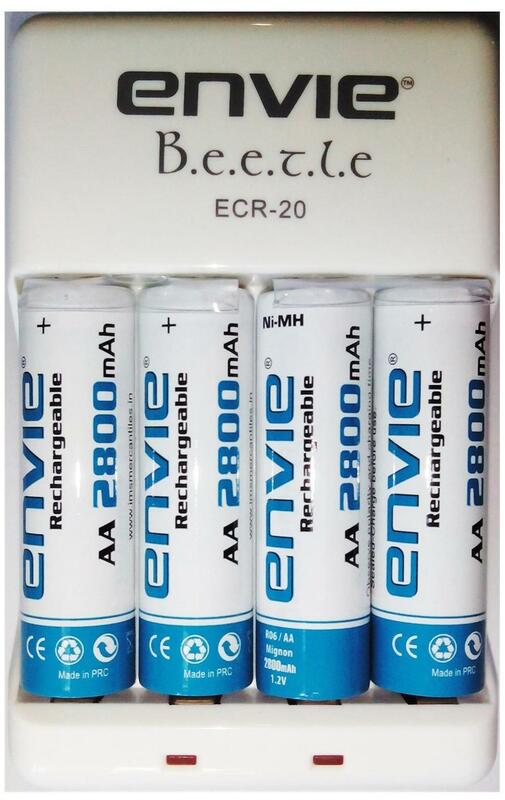 These Batteries Have Ni-MH (Nickel-Metal Hydride) Electrodes To Provide You With A Safe And Stable Environment. The Batteries Are Rechargeable And Allow You To Use Them Multiple Times. The AA Sized Battery Is Compatible With A Large Number Of Devices Including Remote Controls, Electronic Toys, Cameras, Flashlights, Torches And Various Other Devices. Stores Power Even At The End Of 6 Months Due To LOW Self Discharge Rate.